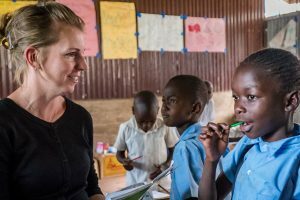 In the refugee camps of East Africa, God’s people have been gathered together from various tribes and languages into one place. Lutherans tend to congregate together where they worship and pray for their homes far away. 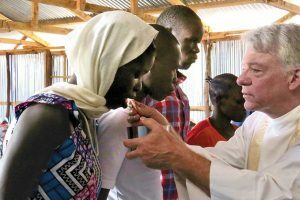 Lutherans in the refugee camps ask for pastoral visits to provide catechetical instruction, preparation for baptism and administration of Holy Communion. This project enables a local pastor seconded from the local partner Lutheran church to be sent to the camps for Word and Sacrament ministry three times as year. 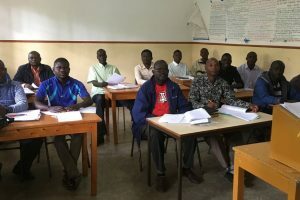 While it is not enough, these visits temporarily meet the most urgent pastoral needs of the congregations as they prepare their own lay leaders for seminary studies.